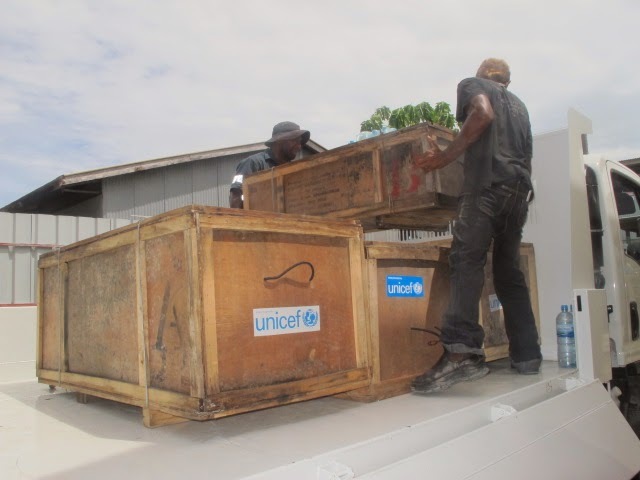 UNICEF Pacific donated three 80m² tents and 20 tarpaulins to the Honiara City Council, for use by people who fled from floodwaters between 3-5 April. The tents are erected at the Festival of the Pacific Arts (FOPA) compound that is being used as an evacuation centre, and the tarpaulins are used on the roofs of leaf huts to prevent leaking when it rains. Around 350 people are currently sheltering there. For many families currently living in evacuation centers, there is no home to go back to, as their houses were destroyed. Furthermore, their main means of income, gardening, is no longer possible since the flood has wiped out everything leaving behind only mud and swamp. 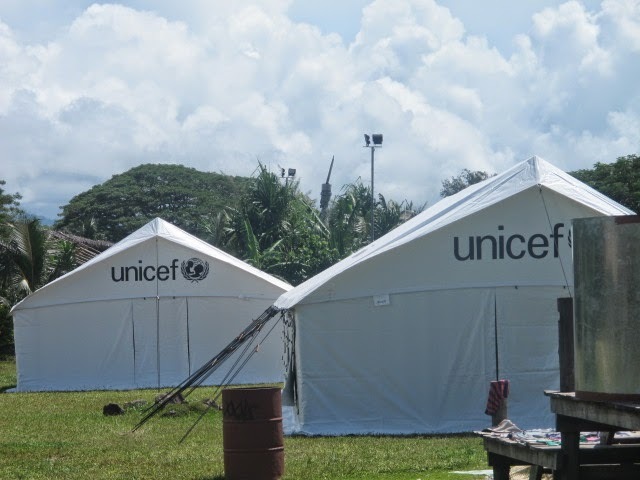 "UNICEF was pleased to help out with these tents and tarpaulins that we had pre-positioned in case of an emergency, " said Karen B. Allen, UNICEF Pacific Representative. "Our focus now will be on helping the Ministry of Education get school age children back to school, and we will be donating more tents and tarpaulins for this purpose. Not only is school important for these children's education, but we know that it will also help them to recover from trauma and stress, giving them a sense of normalcy and safety." Atenia Tahu is currently a Communication Officer with UNICEF Pacific Solomon Islands Field Office based in Honiara.